With Thanksgiving around the corner, I’m looking forward to indulging in my fair share of pumpkin pie. The good news: There are plenty of reasons to go back for seconds. 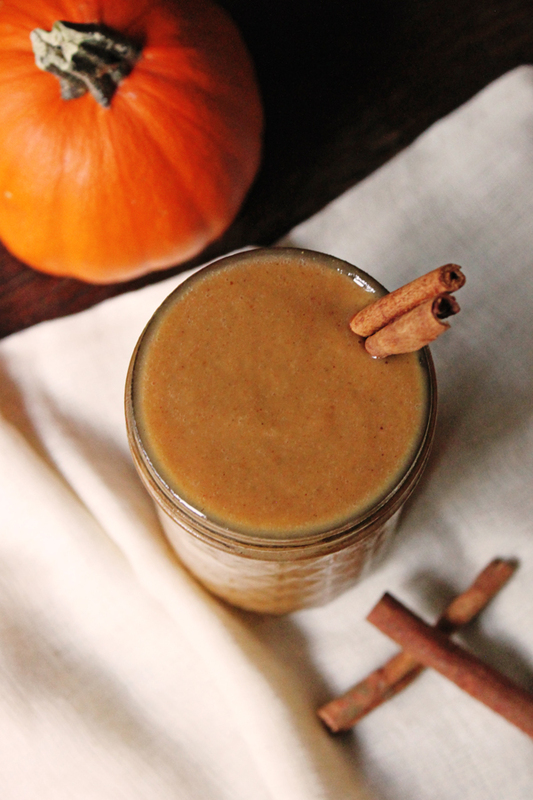 Pumpkin boasts a cornucopia (couldn’t resist) of health benefits, like warding off wrinkles, boosting your immune system and even aiding in recovery after a tough workout (did you hear that, Turkey Trotters?). But no matter how you slice it, that delicious crust—with whipped cream on top—doesn’t stack up in the nutrition department. 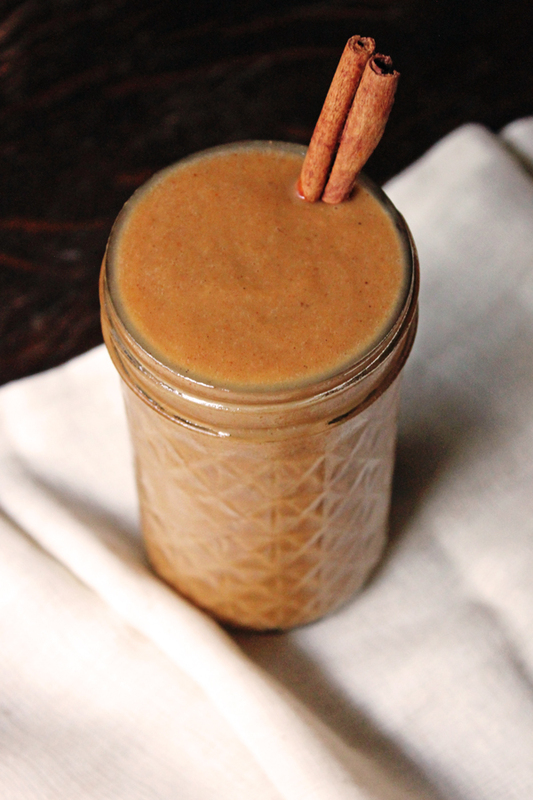 The better news: You can have your pumpkin pie and drink it, too, with this nutritionally-loaded smoothie that tastes just like a Turkey Day dessert. To be clear, I’m not suggesting that you pass on the pie and be that person who brings a Vitamix to Thanksgiving dinner (my family would disown me), but instead, add this recipe to your repertoire no matter what the season. 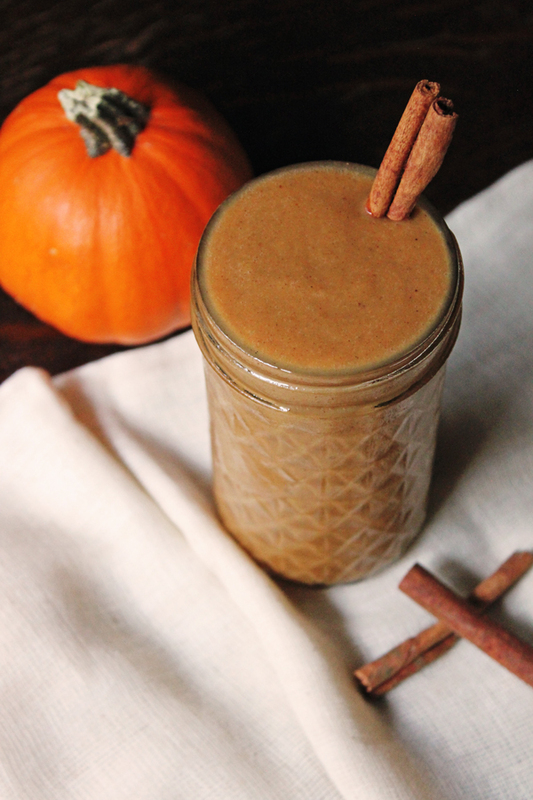 With this sweet smoothie, you can easily enjoy pumpkin’s many perks year-round. Now that’s something to be thankful for. Note: If you have pumpkin pie spice on hand, you can use that instead of the spices listed above. Place all ingredients into a blender and blend until smooth. Garnish with a cinnamon stick. this sounds delicious, like a dessert! It does taste just like dessert, I promise!